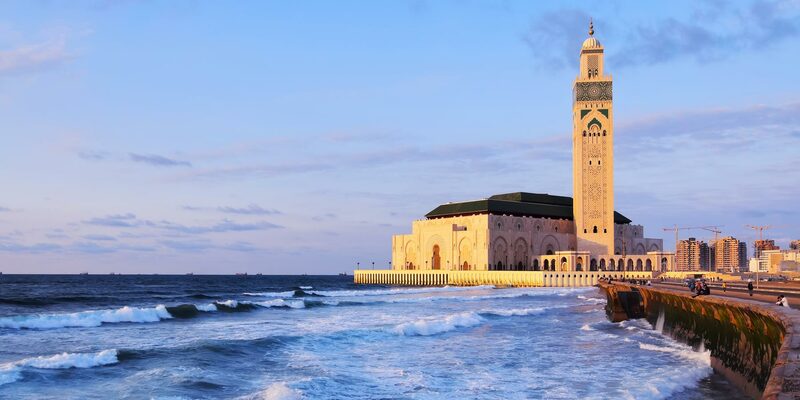 Made legendary by Hollywood in the 1940s, Casablanca is considered to be the capital of modern architecture by international critics. Frequently visited by architects and planners from around the world for its history, the city has a rich architectural heritage, being compared to major cities of the twentieth century: Brasilia (Brazil), Chandigarh (India), etc. The city shows all the architectural avant-garde trends since 1920: Art Nouveau, Neo-Classicism, Art Deco, Functionalism, and much more! 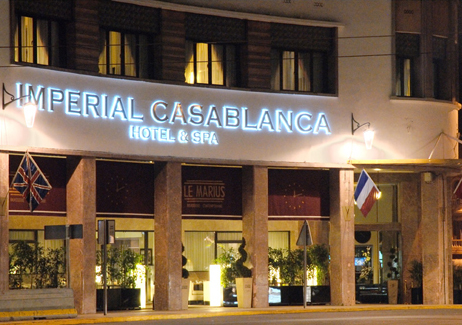 Imperial Casablanca Hotel & Spa is located in the Art Deco neighbourhood, right in the heart of Casablanca. La Résistance tramway station is placed only 3 minutes’ walk from the hotel and it will drop you off in the city center in just 5 minutes. Nearby our hotel you will also find Casa Port and Casa Voyageurs train stations, and in just a 20-minute drive you can arrive to the Corniche (seashore) and the major shopping malls of the city. 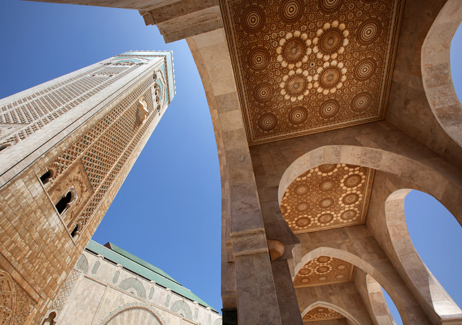 For those travellers who arrive in Casablanca by plane, the International Airport Mohamed V is located just 40 minutes away from the hotel.